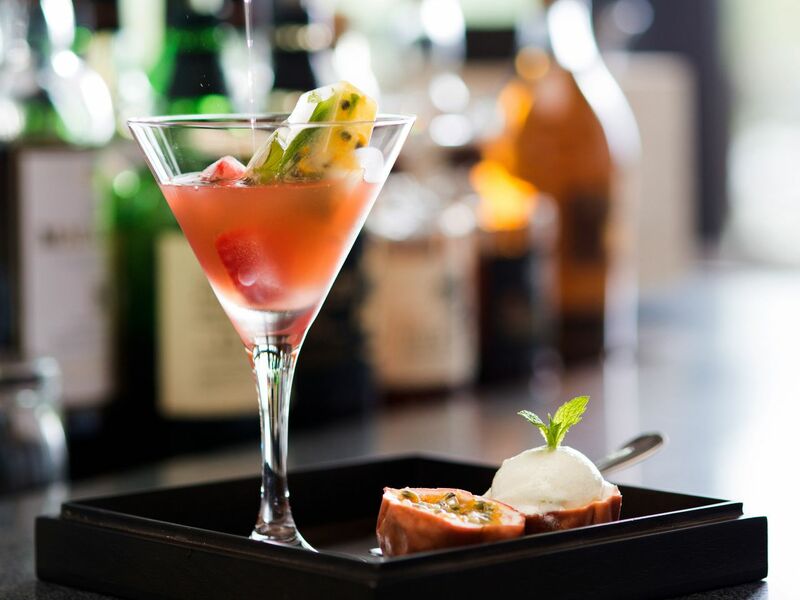 At Park Hyatt Sanya Sunny Bay Resort, the culinary team aims to offer "fresh seasonal ingredients, prepared simply, authentically and with passion". Our menus offer a range of authentic Chinese and Western dishes incorporating ingredients of the highest quality, sourced locally wherever possible. Meanwhile, We provide exquisite food and dining atmosphere for family guests. 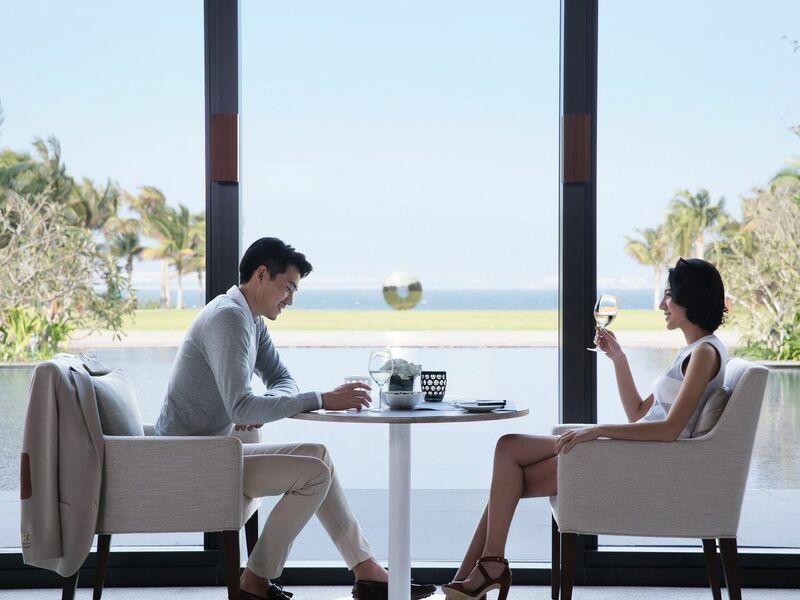 In keeping with the residential concept and the ambience of a resort setting, you are welcome to order off the menu or request bespoke dishes—eating anytime you like and dining anywhere you choose—as relaxed and freely as you might do at home. Our culinary team is primed to create unique and memorable dining experiences for you, whether a champagne breakfast on the beach, a family barbecue in your villa or a sunset supper on a yacht. 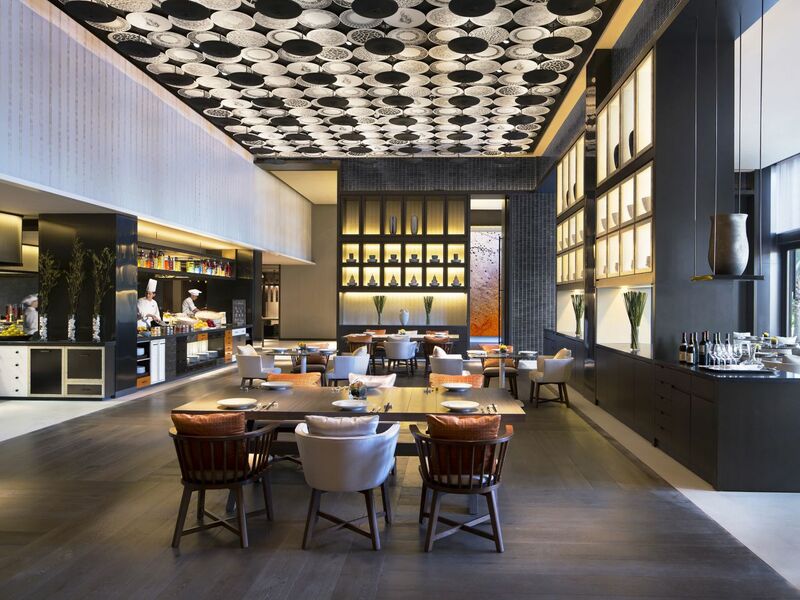 Dining Room is the main, residential-style dining space at Park Hyatt Sanya Sunny Bay Resort with indoor and outdoor seating 146 seats and one semi-private room accommodating 10. 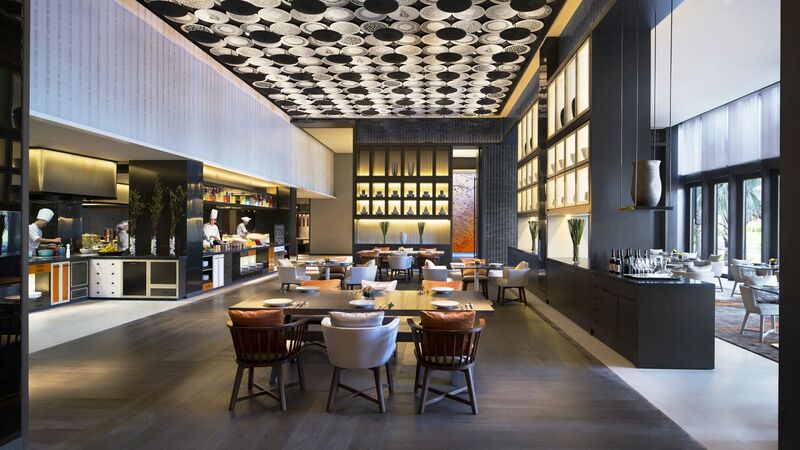 The semi-formal space offers a combination of modern Chinese cuisine, accompanied by fine wines. Dinner: 5:30 - 9:00 p.m. 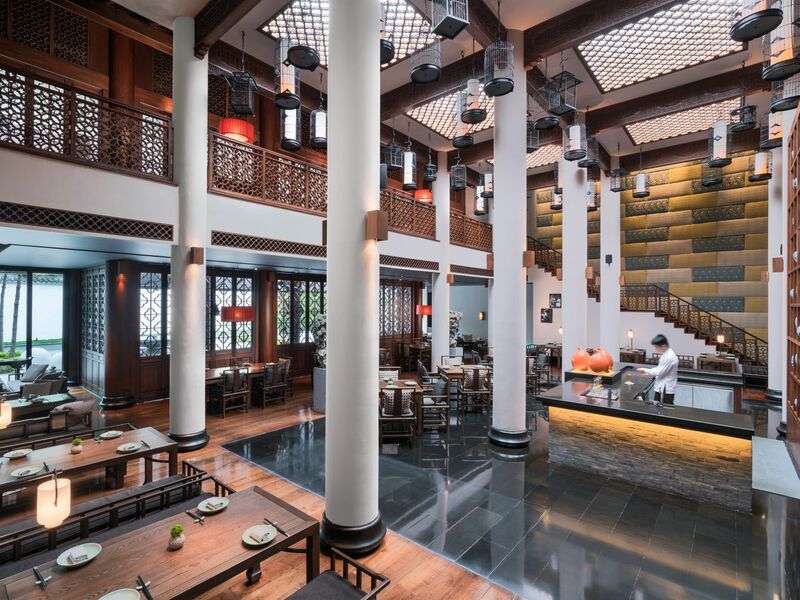 Housed in a traditional Chinese-style building topped with ceramic-roof tiles, Tea House is an impressive, light-filled space, featuring a mezzanine floor and a nine-metre high ceiling strung with myriad birdcages, indoor and outdoor seating total 128 seats. Pool House is an informal western casual dining venue adjacent to the pools, offering both indoor and outdoor dining, alongside spectacular views of the South China Sea. Meanwhile, we offer the kids menu for children and family. Pool Bar offers a wide array of fresh juices and cocktails. 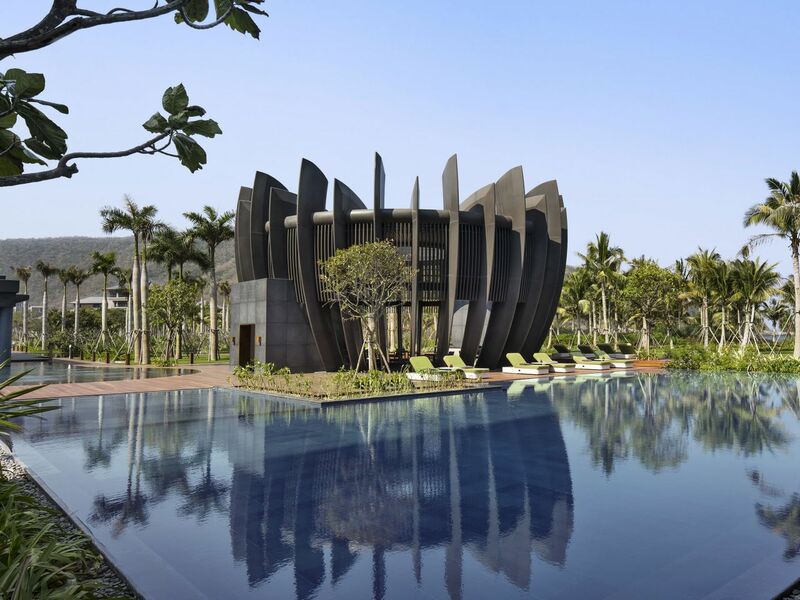 The arresting lotus-shaped pod features a central pond that spouts water during the day and fire at night. 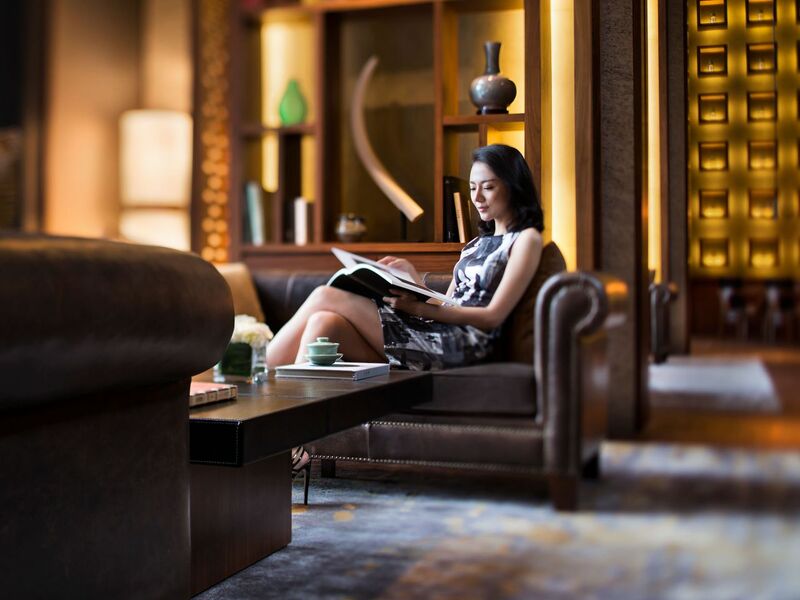 An elegant indoor and outdoor bar with 145 seats offering spectacular views of the South China Sea. 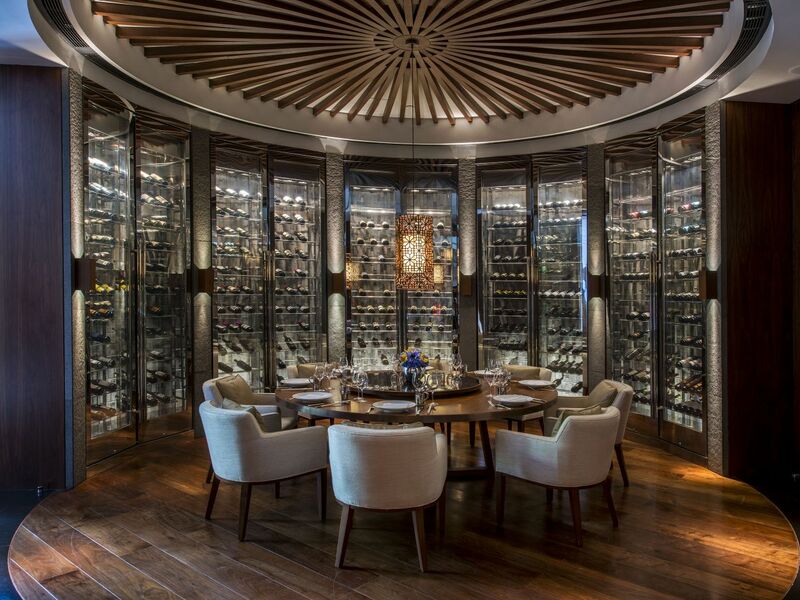 Cellar is a cozy extension of Dining Room, offering semi-private dining in an intimate setting, as well private dining room seating for 12 and a separate room for tastings.